Older. Definitely not wiser. Can two jaded souls find the courage to risk their hearts for love? Raul Ramos Jr. is headed back to Camp Firefly Falls for another corporate retreat, but this time he’s the CEO. Formerly carefree and confident, RJ has been through a string of women who are more interested in his bottom line than his heart, so he’s determined to focus on the company and show his employees he’s got what it takes to run the business. Sherry Washington is completing her court-ordered employment when in walks her hook up from last year—her greatest mistake and still one of the best hours of her life. She used to believe that the way to happiness was through other people’s money and power. After a devastating year, she’s focused on her own happiness, forsaking men and becoming the woman she wants to be. The threat of negative consequences from hooking up again is no match for the fierce spark of attraction and longing between them. They negotiate a weekend fling with one condition: No one can know about it. They’re all wrong for each other, and yet, their secret romance feels all sorts of right. 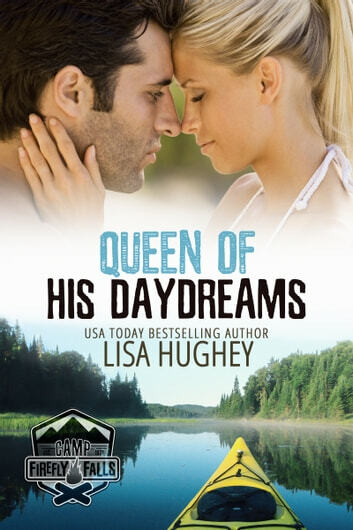 USA Today Bestselling Author Lisa Hughey started writing romance in the fourth grade. That particular story involved a prince and an engagement. Now, she writes about strong heroines who are perfectly capable of rescuing themselves and the heroes who love both their strength and their vulnerability. She pens romances of all types—suspense, paranormal, and contemporary—but at their heart, all her books celebrate the power of love. She lives on Cape Ann in Massachusetts with her fabulously supportive husband, two of her three awesome mostly-grown kids, and one somewhat grumpy cat. Yoga, hiking, and traveling are her favorite ways to pass the time when she isn’t plotting new ways to get her characters to fall in love. SHERRY IS A YOUNG LADY PAYING OFF A DEBT THAT&#039;S NOT HERS AND RJ IS A YOUNG CEO WANTING TO MAKE THINGS RIGHT. A COMPANY WORKING RETREAT, A WEDDING, AND MISCONCEPTIONS. LIFE CHANGING REALIZATIONS MAKE FOR A GREAT STORY. PLEASE JOIN SHERRY AND RJ IN THEIRS. I received a free copy of this book via Booksprout and am voluntarily leaving a review. This is heartwarming. Camp Firefly Falls seems to be the place to go for second chance romance. RJ has made it big in the car industry since his last trip to Camp Firefly Falls. He now holds the title of CEO. Sherry&#039;s life has crashed and burned. What should have been a debt the company she worked paid, she was held responsible for. To add insult to injury, other company that was involved last year has returned for another retreat. RJ has his work cut out for him if he wants Sherry. Camp Firefly Falls is definitely the place that anything can happen, and does. Great read! I received a free copy of this book via Booksprout and am voluntarily leaving a review.